A viral article alerted Australians to a little known parliamentary code, leading lawmakers to be inundated with requests for portraits of the monarch. Australian politicians are being peppered with requests for free portraits of Queen Elizabeth II after a long-forgotten piece of parliamentary code was brought to public attention earlier this week. Australia is a former U.K. colony which, like Canada, New Zealand and a number of other countries, still retains the British monarch as head of state. The ability to request “nationhood material” — which can also include pictures of the queen’s husband, Prince Philip, flags and recordings of the national anthem — came to light after the publication of a Vice Australia article pointing out the obscure legislation on Wednesday. It is not known exactly how many portraits had been requested in the last few days, although anecdotal evidence indicated that some were being inundated. "I think 99 percent were made with tongue firmly in cheek," he added. He’s not alone. Rebekha Sharkie, an MP from the Centre Alliance, tweeted she had received 25 requests for portraits in the space of 12 hours. 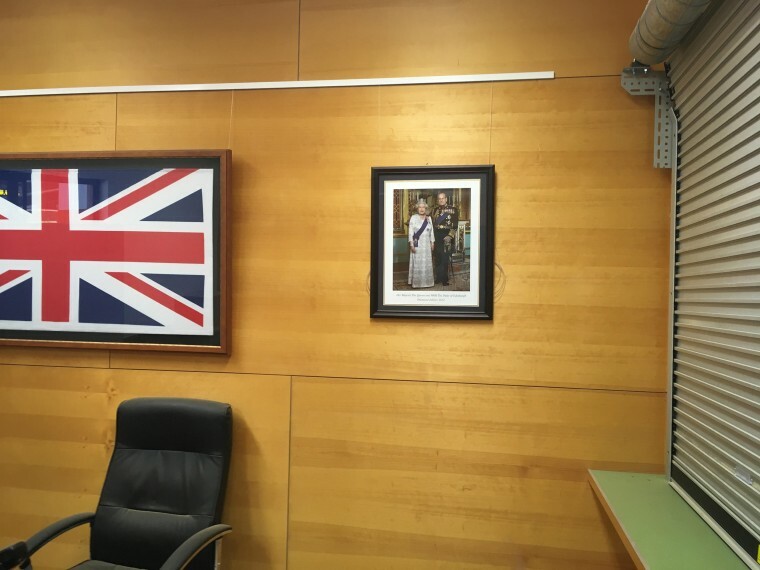 He said he had also put pro-republic literature, portraits of former Labor prime minister Julia Gillard with Aussie rules football hero Bob Murphy, and invitations to a local barbecue into envelopes containing the royal portrait. Getting my pictures of the Australian Head of State ready for the dozens of #Melbswest constituents who have now requested them from me as their MP. Another legislator, Terri Butler, joked on Twitter that she had been “talked out of providing a photo of Beyoncé” instead of pictures of the queen, but added the Vice writer who wrote about nationhood materials was “not popular in her office” because of the number of requests she had received. For all the jokes, however, the role of the queen as Australia’s head of state cuts to the core of a decades-old debate over the nation’s sovereignty and identity. In a 1999 referendum, Australians voted 55 percent to 45 percent against becoming a republic. Last year, the Labor opposition vowed to revisit the issue with a new referendum should they come to power. "Usually people request flags when they're representing Australia overseas for sport or school or community groups," he said in his radio interview. "Very frequently I give out indigenous and Torres Strait Island flags, and I think that is a worthwhile thing to do for our community," he explained, referring to official flags representing the Aboriginal community of Australia and people indigenous to a group of islands off the country's northern coast.